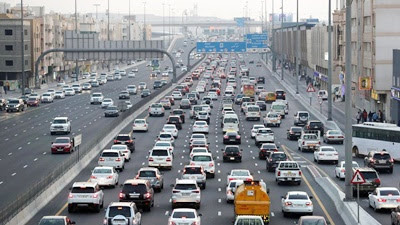 Motorists in Dubai will now have to pay traffic fines and request for instalments online with effect from April 1, 2019, as these services will no longer be provided in person. Announcing this at a press conference held at the Traffic Department in Dubai Police. Dubai Police said they were among eight public services that will go completely online next month. The new services that will be provided online include: payment of traffic fines payment, requests for traffic accident reports (where no one is injured), copy of lost traffic accident reports, traffic fine instalments using credit cards, traffic clearance certificates, reports of traffic accidents committed by unknown persons, list of traffic fines and checking of traffic condition. In the next phase, four services will go exclusively online by July 1. The services include requests for smart impounding of vehicles, fee payment for impounded cars, instalment of traffic fines via cheques and release of impounded vehicles. Meanwhile, Brigadier Khalid Nasser Al Razooqi, Director of the Artificial Intelligence at Dubai Police, said that 80.6 per cent of customers currently use Dubai Police’s smart services, while 19.4 per cent still goes in person to customer service. “Our strategy is to encourage people to use smart services. We provided smart police stations and about 1,000 kiosks to pay traffic fines and other services. We have cooperation with banks and money wiring offices to provide a diversity of channels. Our aim is to reduce time and effort and cut costs. Our services are provided in seven languages,” Brig Al Razooqi said. The UAE Cabinet has adopted a decision to amend provisions of the resolution on sponsoring of foreign workers to their families in the country. Income sufficient to support their families will be the only requirement for UAE expatriates to sponsor their family members as opposed to the previously listed 'professions', the UAE Cabinet has announced. As per prevailing requirements, male residents who are employed in the UAE can sponsor their immediate family members such as wife and children if he earns a monthly salary of Dh4,000 or Dh3,000 plus accommodation provided by his company. He also had to be employed in certain categories for him to be eligible to sponsor his family. For example, domestic helpers and certain other categories were not entitled to sponsor their families irrespective of their monthly income. Similarly, a female resident could sponsor her family only if she was a teacher, engineer or a health professional and earned Dh4,000 per month. If she worked in any other sector, she needed to have a minimum monthly salary of Dh10,000 and special approval from the General Directorate of Residency and Foreigners Affairs. With the latest Cabinet announcement, the requirement for residents to have certain professions has been done away with. It was not immediately clear if there are any changes to the salary requirements. The amendment is in line with "international developments and in accordance with best practices", the UAE Cabinet said in a statement. "The decision aims at enhancing family stability of foreign workers and social cohesion, as well as attracting highly skilled workers while maintaining a healthy balance between professional and personal lives," it added. The Cabinet decision, the statement explained, called on relevant government entities to conduct studies to assess and enhance the services provided to residents. This includes aspects of education and health and encouraging the "active participation" of the residents' family members in the job market as an alternative to recruiting new workers from abroad, within the existing policies and regulations. Welcoming the announcement, Nasser bin Thani Juma Al Hamli, Minister of Human Resources and Emiratisation, said the decision will strengthen "family ties of workers" and boost the labour market. "It will also improve the workers' productivity and create a suitable work environment for them. This, in turn, will improve the national economy," the minister said. "The UAE is home to more than 200 nationalities. The country always works towards ensuring residents' rights by providing them with suitable regulations that are in line with international standards. We think of residents as our partners in development." Ali Mohammad bin Hammad Al Shamsi, chairman of the Federal Authority for Identity and Citizenship, said the UAE has become an "attractive destination for those who want to achieve their goals". 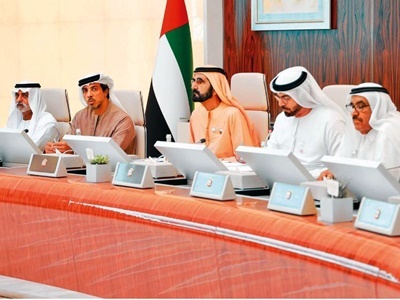 Shaikh Mohammad, Shaikh Mansour, Shaikh Hamdan Bin Rashid Al Maktoum, Deputy Ruler of Dubai and UAE Minister of Finance, Shaikh Nahayan Mabarak Al Nahayan, UAE Minister of Tolerance; Mohammad Abdullah Al Gergawi, Minister of Cabinet Affairs and the Future at the cabinet meeting. The UAE cabinet on Monday approved the regulatory framework for the issuance of five and 10-year UAE residence visas to certain categories of applicants. His Highness Shaikh Mohammad Bin Rashid Al Maktoum, Vice President and Prime Minister of the UAE and Ruler of Dubai has announced on Twitter that the regulatory framework to start issuing long-term residence permits for investors, entrepreneurs, innovators and specialized talents is now in place. Departments in the UAE will now start receiving applications, he tweeted on Monday. “The UAE has been and will remain a destination for talents... and land to fulfil the dreams of all pioneers", Shaikh Mohammad added in the tweet, as part of his announcements following a cabinet meeting held at the Presidential Palace in the capital on Monday. 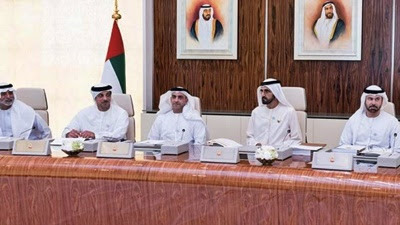 The UAE Cabinet approved a long-term visa system for investors, entrepreneurs, specialised talents and researchers in the fields of science, knowledge and outstanding students to facilitate business and create an attractive and encouraging investment environment for the growth of business for investors, entrepreneurs and professional talents. The decision aims to maintain the position of the UAE as an optimal business environment. The visa benefits also include the spouse and the children to ensure a cohesive family and social structure and to create a stimulating environment for stability and growth. Investors in the property of a value of Dh5 million or more will be granted a residence for five years. Investors in public investments through a deposit, an established company, business partnership of Dh10 million or more, or a total investment of not less than Dh10 million in all areas mentioned - as long as non-real estate investments are not less than 60 per cent of the total investment - will be granted a renewable residency visa every 10 years. Those having a previous project with a minimum of Dh500,000, or having the approval of an accredited business incubator in the country. Entrepreneurs will be granted a five-year visa with a possibility for upgrading to an investor’s visa provided they meet the requirements. The benefits of the entrepreneurial visa cover entrepreneurs, partners, three executive directors, spouse and children. 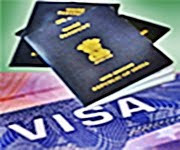 The entrepreneur is allowed entry into the country for six months, multiple-entry visa period, with renewal for another six months. The decision also includes provisions for granting a 10-year visa for specialized talents and researchers in the fields of science and knowledge for doctors, specialists, scientists, inventors and creative individuals in the field of culture and art. The visa also covers the spouse and children. All people categorized as professional talents are required to have a valid employment contract in a specialised field, which is of priority to the UAE. Depending on this field, the requirements can include a doctorate degree, publications or global organisation memberships etc.